As a part of the National Gathering Ireland 2013, a year-long tribute to Irish heritage, first responders from North America, Britain, and Europe are invited to the Emerald Isle in a celebration of their bravery. Heroes Week, held from June 12th to the 17th, will include Fire, Police, Red Cross, Ambulance, and Coastguard organizations from around the world, coming together in recognition of their service. Heroes Week includes a five-day program packed with fun activities and competitions between the various services, with the highlights being the Heroes Gala Ball and the Parade of Heroes through the streets of Tralee led by marching bands from far and wide. 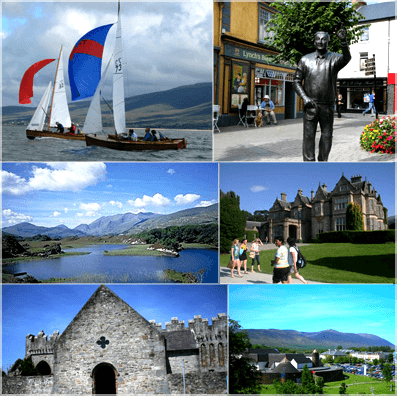 The program emphasizes the best of Kerry hospitality, its magnificent scenery, culture, heritage and outdoor activities in the company of colleagues from around the world. There will also be an opportunity for those who wish to explore their Irish roots to do so with trained genealogists. In addition to honoring the first responders and their dedication, this not-for-profit event is being conducted to raise money for local organizations whose primary objective is to save and protect lives. Emergency response personnel from across the USA, Canada, Britain and Europe are invited to share in the full five day program for €350, including tours, events, and meals, or to take advantage of the event’s accommodation deal, which includes the program, airport transfers, and hotel for approximately €600 (£500/$800) per person sharing. Bookings can be made on the Heroes Week Website, or visit the event’s Facebook page and Twitter for more information, and to show your support for the recognition of first responders worldwide. Check out the full program here for a complete itinerary, and for more about Heroes Week 2013.